Attention Job Shops! 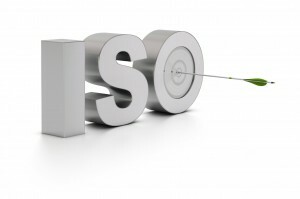 5 part series on ISO Certification. So you’ve decided to get your ISO certification? Congratulations! Being ISO certified can open the door to a whole new world of jobs and customers that your job shop would never otherwise have access to. More importantly, though, it will help you improve your processes and service. You’ll operate more efficiently and provide better quality products to your customers. Making the decision to get certified is only the first step, though. If you’re like a lot of shops, you may not know what comes next. That’s why we’ve created this five-part series to walk you through the process. We’ll start at the very beginning and cover every step along the path to certification. In future parts of the series, we’ll talk about your internal audits, the certification audit, and even how to keep your certification after you pass the audit. Don’t want to wait for the rest of the series? No problem. take a look at our handy white paper called The ISO Certification Playbook, to help teach you everything you need to know about getting certified. In this part of the series, we’ll talk about the first step, which is a multi-day onsite consultation and training session. Why start with training? Because you probably don’t know what you don’t know when it comes to certification requirements. An onsite session with a certified lead auditor can help you identify needs and get started on the right foot. The first certification training usually lasts over multiple days and is conducted at your business. A consultant will work with you and your employees to see how close you are in relation to the ISO requirements and how much work you need to do. Before you can start the process, you need to know the destination. In this case, the destination is the specific standard and requirements you’ll need to meet in your certification audit. Your trainer should review these with you thoroughly so everyone is on the same page. First, your trainers will review the processes you have in place. You may have processes that are at or near the requirements of the standard. In that case, you’re off to a good start. At Shoptech, we help our clients get ahead of the game in this regard with our E2 Rapid Documentation System. However, if you don’t have a documentation system in place, your gap analysis will highlight those areas and recommend a path for improvement. After you and your trainers review your processes, they’ll likely observe your team in action. Why? To make sure they’re actually following the processes you have in place. Having strong documented processes and procedures doesn’t mean anything if they aren’t actually being implemented. Seeing what’s going on in the shop will help your trainers develop a plan of action. A review of each ISO clause. The implementation methods required by each clause. The evidence required to demonstrate that your processes meet the standard. Examples of types of documentation that can be used to demonstrate that you meet the standard. The end goal of the training is to prepare you for an ISO certification audit. At the conclusion of the training, you should have a clear understanding of what you and your team need to do to meet each ISO clause. In the next part of this series, we’ll discuss documentation, which is at the heart of the ISO standard. Check back here often to catch the rest of the series. Also, check out our ISO System Training, Implementation, and Audit Services. We can help you with every step along the path to certification, including training, assessments, and documentation. A knowledgeable partner like Shoptech can make your certification process a less time-consuming, more affordable, and generally stress-free experience.